‘Mini-BOT’ money & debt cancellation: Are Italy’s populist ideas worth hearing? The Italian crisis has created its own circus of comment and speculation from both within and without Europe’s economic Establishment. However, one of the more prescient upshots might be the two controversial proposals put forward by the populist parties. 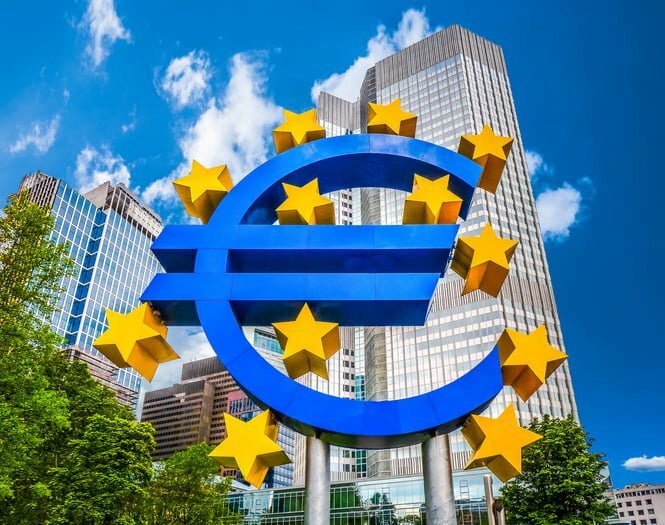 These are the demand that the European Central Bank cancels the Italian treasuries it acquired in its public-sector purchase program (PSPP) and the introduction of mini-BOTs, a tax credit certificate that could be used to pay government contractors. These two proposals came from fringe academics and were doomed from the start as monetary heresy by the ECB’s economic pontiffs. In addition, the leaders of the populist parties, Matteo Salvini (The League) and Luigi Di Maio (Five Star Movement) dropped the two measures from their revised “contract for a government of change” in the hope of salvaging some of their promises on immigration and public spending. Alas. These two proposals were the only bright spots in an otherwise depressing election. Cancelling the ECB’s PSPP holdings is just an accounting measure: these bonds have already been monetized so they should no longer be included in official public debt statistics. Fiscal currencies have worked in depression-struck economies with large unpaid tax bills, such as Austria in the 1930s. This debate highlights what could be termed the eurozone’s ‘Severe Monetary Confusion Syndrome’: the euro does not know whether it is a paper version of the gold standard, or an expression of the collective sovereignty of Europe’s peoples. Splitting these two functions with a dual currency system could cure the continent’s schizophrenia. Unfortunately, I doubt that any sensible long-term reform of the Eurozone can emerge from the current hysteria. The leaked “contract for a change in government” between the Five Star Movement and The League contained an economic bombshell, inconspicuously located on page 38: “the cancellation of the €250 billion of Italian public debt held by the European Central Bank will lead to a 10% reduction in public debt”. Following German outrage, this section was removed from the official agreement, published a few days later. Procedurally, it is hard to defend the notion that two parties who collectively won just 11 million votes should decide for an institution that oversees the monetary policy of 19 countries with a total population of 337 million. But Italy’s monetary lunatics are correct conceptually because this debt has already disappeared economically. Let me explain: debt is the promise to pay interest when it is due, and the principal at maturity. When debt is held by a private investor, that is the end of the story. However, things are very different when that security is held by a central bank. By the terms of the Treaty of Lisbon, the European Central Bank must turn the profits of its investment portfolio to its capital holders. Practically, the Italian government pays interest every six months on the treasury bonds that the European Central Bank holds; at the end of year, the ECB writes a check to the Italian Treasury, for the exact value of the coupons it has received. Hence, actual cash flows are perfectly circular. The allocation of ECB profits to individual member states is guided by the bank’s GDP-based capital keys. What about the principal? If the European Central Bank let its holdings of governments securities mature, there would indeed be a net outflow from public coffers. But it has not done that and has never indicated that it was considering not reinvesting the proceeds of its maturing holdings. In order to keep a constant balance sheet, the European Central Bank needs to buy a new treasury for every bond or note that matures. From the perspective of national governments, that means that principals can be rolled over indefinitely, and never repaid. In an economic sense, the ECB debt jubilee already happened: all that the Five Star Movement and The League were asking for was to officialise this de facto debt monetization in European public debt statistics. If the ECB’s holdings of Italian treasuries have already been monetized, why is there such a taboo against adjusting the Eurozone’s countries debt-to-GDP ratios? Ignorance is to blame for most journalists and market pundits: how could billions of Euros of debt simply evaporate? Private debts can only disappear if the debtor defaults, and if the creditor takes a loss: yet no debtor has defaulted, and no creditor has lost money from the ECB’s public-sector purchase program. On the other hand, ECB economists must understand the concept of seigniorage because it is the essential function of a central bank. The official explanation is that the ECB needs to keep the PSPP holdings on its books because it may need to sell them later. I am highly sceptical. According to the futures market and the ECB’s own declarations, the deposit rate should remain negative until the end of 2019. European quantitative tightening or ‘QT’ (the reversal of quantitative easing – ‘QE’) would not start until late 2020, if it happens at all. For reference, the Federal Reserve’s balance sheet has shrunk at annualized pace of 4% since QT started in October. The Eurozone economy will surely hit a recession and require more easing before the ECB has a chance to meaningfully shrink its portfolio of treasuries. The many faces of seigniorage? I think the real explanation for the reluctance to recognize the different nature of personal and intro-state debt comes from two different philosophical views of money. In the German / Bundesbank / ECB view, the Euro is a new gold standard, without bullion to back it. It is an external currency, whose independence from fiscal policy is enshrined in Article 130 of the Treaty of the Functioning of the EU. This philosophical choice is evident in the eurozone trade settlement system, where national central banks record liabilities as if they were claims on physical gold. There is no room for seigniorage in this world view: the European Central Bank may have to acquire public securities to implement monetary policy, but the books need to be separated at all times. Conversely, Italy’s populists unconsciously defend a chartalist view of the euro. In their view, member-states have given up the benefits of independent monetary policy to enjoy greater seigniorage privileges in a large currency union. Being part of a currency union is costly for all parties. Consider the dollar currency union: in a gold-based system, the Federal Bank of New York would constantly acquire gold over that of Atlanta. These gold flows stopped with the consolidation of the Federal Reserve system. Conversely, the Southern states would likely have a much more competitive currency if they were not in the US dollar union. They have given up their ability to adjust their monetary policy to their own economic conditions. Greater seigniorage is the benefit of the US dollar currency union. Because the US dollar has much wider use than a hypothetical New York State or Georgia currency, its issuance can finance far more public goods, without the need for additional taxes or debt. Italy’s populists are asking for the return on their investment: if the European Central Bank denies the concept of seigniorage, what was the point of giving up the economic and monetary flexibility of the Italian Lira? According to the tale taught in economic textbooks, money arose as a commodity to replace barter. Instead of having thousands of bilateral exchange rates, prices were converted in a common good so that cows could easily be turned into butter and labor be exchanged for wheat. Gold or other precious metals usually filled the three functions of a good currency: a store of value, medium of exchange and unit of account. Paper money eventually arose to save the cost of having to move precious metals with every commercial transaction. According to chartalism or the State theory of money, money is, and always was, a form of debt. Money is whatever the Sovereign decides is necessary to pay taxes. There is no real counterparty to money: private agents are forced to use state money because they will need it to pay taxes later. As a result, the issuance of money, or seigniorage, is a bona fide source of government financing, along with taxation in the issuance of debt. Historically, money-as-debt has tended to prevail over money-as-commodity. Most traditional societies did not use coins to tally debts. Even after the introduction of coinage in the axial age, the gold and silver value of coins was always less than their nominal value – partly because sovereigns frequently redenominated coins with a lower precious metal content. What made coins valuable was the face of the sovereign they carried, rather than the metal they were melted from. The collapse of the gold standard in 1973 has let the state theory of money prevail as the current norm. Italian populists’ second monetary blasphemy is explained by The League’s economist, Claudio Borghi on Matteo Salvini’s website: mini-BOTs would be small euro-denomination, non-interest-bearing Treasury bills in the form of bearer securities that would be secured by tax revenues. Mini-BOTs would be printed by the state lottery’s ticket presses and would feature Italian heroes such as Marco Tardelli – a consolation prize for the Azurri’s elimination from the 2018 World Cup. The mini-BOT proposal hopes to eschew the two major legal objections of amounting to a parallel currency and increasing public debt. 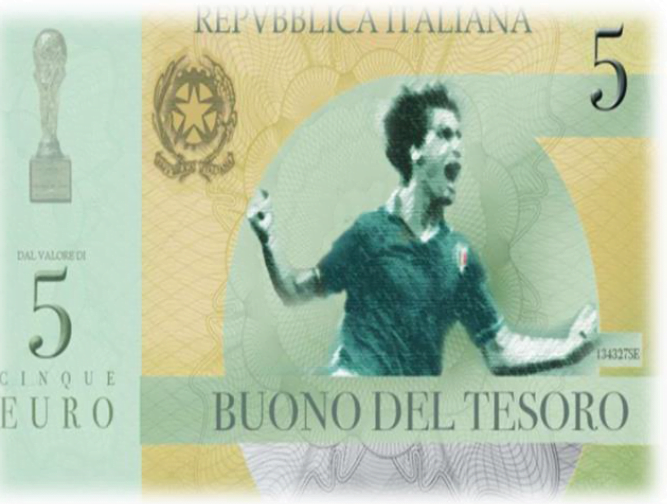 The mini-BOTs would not be legal tender, so the euro would still be the only official currency in Italy. However, they could be used to pay taxes, pay public-sector entities and even to help you fill-up at state owned ENI petrol stations. As a result, it is hoped that mini-BOTs would also be used for private transactions, at a small discount to their face value. Mini-BOTs would not increase Italy’s public debt because they would be issued against pre-existing claims on the Italian government. Italian public entities are notoriously late paying their contractors: they would use mini-BOTs to settle past bills. According to Borghi, the Italian government owes €70 billion in credits to taxpayers and past bills to contractors. A third benefit of mini-BOTs would be their territoriality: It is very unlikely that German exporters or Amazon vendors would accept mini-BOTs as a mean of payments. As a result, mini-BOTs would be primarily spent on domestically-produced goods at small retailers, which conveniently happens to be the electoral base of The League. History suggests that fiscal currencies can boost depression-struck economies with ample idle capacity and tax liabilities – see below to read about the Wörgl ‘miracle’. Borghi’s legal arguments are certainly creative and interesting, but I doubt that such a project would fly in Frankfurt and Brussels because the circulation of mini-BOTs would reduce Italy’s dependence on the European Central Bank in the event of a Greek-style showdown. When Greek voters rejected the terms of the troika’s bailout in 2015, the European Central Bank effectively pulled the plug on the Greek economy by cutting Greek banks from the Emergency Lending Assistance facility. Unlike the Greek government then, Italy’s populist government could pay its bills and fill ATMs with already-printed mini-BOTs. Ultimately, the mini-BOT proposal is unacceptable because it highlights the fundamental flaw of the European monetary union. The euro deprived its members from their monetary sovereignty without giving them the seigniorage income, the debt mutualisation and the fiscal transfers that come from a currency union. ECB defenders would argue that the euro fills currency’s three traditional roles quite well: It is a store of value, a unit of account, and a medium of exchange. But a European cryptocurrency could also fulfil these roles. A digitally-encrypted common currency could also facilitate international trade, provide a common unit of account, and store value as its supply would be truly independent. European states could freely issue their own tax-based currencies, and populists could finance their crazy experiments with a rapidly depreciating currency. Virtuous northern Europeans would be rewarded with cheap vacations under the Mediterranean sun, and the ability to scoop Italian assets. The only problem with such a dual-currency plan is that it does not require the 2,500-strong European Central Bank staff. That is unacceptable indeed. A little town in the Austrian Alps offers an interesting precedent for the Italian proposal of a fiscal currency. During the Great Depression, the small town of Wörgl was also plagued with high unemployment. Wörgl had also defaulted on a loan to the Innsbruck Savings Trust and was cut off from outside financing. Falling tax revenues resulted in repeated budget cuts, which further depressed the local economy. Wörgl also seemed condemned to a spiral of default and endless austerity. Enter Michael Unterguggenberger, a new mayor with a strong taste for heterodox economics. The mayor announced a program of public works, which he paid for through the issuance of stamp scrips, or ‘Freigeld’, a certificate of completed works. Freigeld could be exchanged for Austrian Shillings for a fee of 2%. Freigelds also lost 1% of their value every month. The easiest way to avoid this fee was to either spend the Freigeld immediately or use them to pay tax arrears. 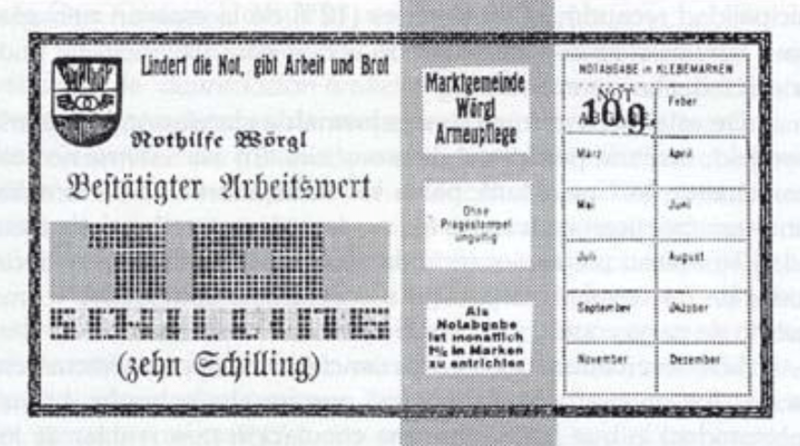 Because so many Wörgl residents were late on their taxes, there was a strong demand for Freigeld, and the currency gained acceptance in private transactions. The new notes circulated so quickly that the amount of repaid taxes quickly exceeded the value of the original issue of Freigeld, allowing the local government to expand the program and carry out additional public works financed by the new money. An eyewitness, C. Bourdet, master engineer from the Zürich Polytechnic reported that: “I visited Wörgl in August 1933, exactly one year after the launch of the experiment. One has to acknowledge that the result borders on the miraculous. The roads, notorious for their dreadful state, match now the Italian Autostrade. The Mayor’s office complex has been beautifully restored as a charming chalet with blossoming gladioli. A new concrete bridge carries the proud plaque: “Built with Free Money in the year 1933”. The Wörgl experiment was ended after a year by the Austrian National Bank who viewed it as a violation of its monopoly over the issuance of the national currency.